Happy Birthday to Graham Nash. It’s nice to see the the various Facebook posts from well-known musicians honoring him. 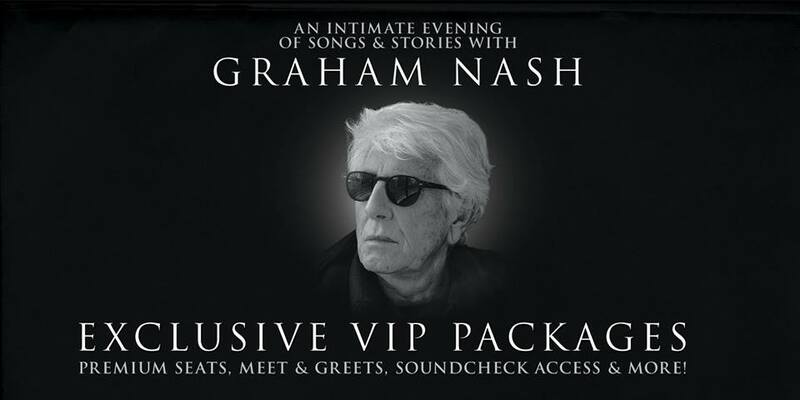 Nash, who founded The Hollies with childhood friend Allan Clarke before moving on to Crosby, Stills, Nash and Young, as well as a solo career, has a show coming up soon in the Chicago area. 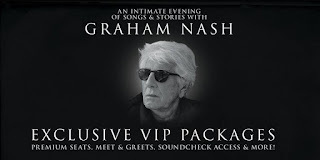 An Intimate Evening of Songs And Stories with Graham Nash takes place at The North Shore Center For The Performing Arts on March 17. The WNUR radio program Power Pop Shoppe has done well with its first few live shows, but the one coming up at The Elbo Room on March 16 looks particularly promising. It’s a tribute show for two power pop icons who left us recently— Pat DiNozio of The Smithereens and singer-guitarist Tommy Keene. Phil Angotti, The Cells, The Thin Cherries, King Mixer, The Joy Poppers, Mark Watson Band, The Sh***y Amps, and Love Punch are scheduled to perform. The event will likely benefit a charity, but the exact one hasn’t been chosen yet. The January 29 February 4 issue of Streetwise, a Chicago publication aimed at helping homeless people find employment, has a bouquet of articles about Paul McCartney by various contributors. 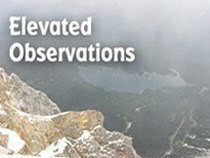 It’s interesting to read the different perspectives. Don’t you forget about them. Simple Minds have a new album titled Walk Between Worlds coming out today. Later this month, we’ll see new releases from Belle and Sebastian; Laurie Anderson and Kronos Quartet; Brandi Carlile; MGMT; and Franz Ferdinand. A 1927 silent film version of Hamlet, starring Denmark actress Asta Nielsen in the title role, will be screened at Rockafeller Chapel in Chicago’s Hyde Park neighborhood this Sunday, February 4 at 7:00 p.m. Organist Dennis James and harpsichordist Michael Tsalka will provide music accompaniment. Wolf Alice has a show coming up on March 30 at Metro. Alvvays will perform a week later at the same venue. In addition to each of them being a versatile techno band with a woman lead vocalist, both are sure to be included in my Favorite Releases of 2017. When I finally get around to posting it. Phil Angotti, whose Such Stories album will also be on my 2017 Favorites List, will be performing Simon and Garfunkel songs with Tommi Zender on March 12 at City Winery Chicago. In my Such Stories review, I noted that Angotti seemed to be drawing inspiration from vintage Simon and Garfunkel for some of his own acoustic-based songs. Paul Simon has announced that his upcoming tour, will be his last. Elizabeth Acevedo, a poetry slam champion who is now an author, will be discussing her first novel Poet X at the Seminary Co-op Bookstore in the Hyde Park neighborhood on March 10 at 5:00 p.m. Sad to say, my nephew Joe Flamm was told to pack his knives on last night’s installment of the Bravo Channel’s Top Chef. He finished last in a Quickfire showdown involving cauliflower. Losing the Quickfire segment didn’t have as much emphasis earlier, so it’s kind of like playing an entire season of baseball and then losing a game by giving up a walk in the first inning. Joe might be able to come back via the Last Chance Kitchen option. At any rate, our whole family is incredibly proud of him. And kudos to all of this year’s chefs for working under challenging circumstances and still being supportive of each other. I sense a lot of them will remain friends long after this season’s finale.